Editor’s note: There was a “glitch” in the processing this month, resulting in The Awkward Ozarker being miscategorized. This was not detected until after publication. To make up for this we’ve decided to award 2 “best of” awards in nonfiction this month, since they are both worthy, and instead have promoted Take Back Tomorrow from earning a gold star to being our e-Book Cover Design Award Winner for May 2016 in Fiction. Welcome to the e-Book Cover Design Awards. This edition is for submissions during May, 2016. JF: Fantastic. This is some serious pulp. Notice the severe lighting and looming darkness, this cover is spot on. 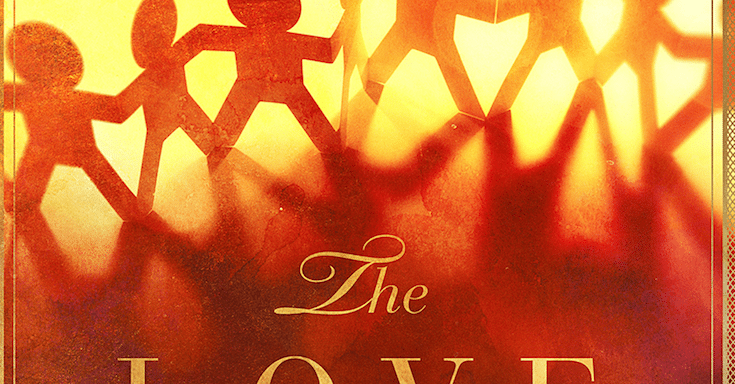 James Egan submitted The Love of One designed by James T. Egan of Bookfly Design. JF: Both conceptually and visually arresting. A poetic cover for this memoir. Blant Hurt submitted The Awkward Ozarker designed by Dane Low. JF: A brilliant combination of ornament, typography, and illustration really makes this charming cover stand out. JF: A weak design with little impact. Aimee Coveney submitted Mini Skirts and Laughter Lines designed by Aimee Coveney. JF: A charming and effective design, with a couple of quibbles: the meaningless “award winning author” doesn’t belong on any book, and I have to say, it doesn’t look like your lady is wearing a miniskirt. JF: I like some of the details on the title, but the cover seems colorless, which is odd for a very colorful subject. alan sproles submitted Billy Bedivere in the Quest for the Dragon Queen designed by Emily Hare. JF: This is an exciting, action packed cover, but I wonder if it would be even more emphatic without that “branding stripe” running like a fence along the bottom. alan sproles submitted The Train from Outer Space designed by Emily Hare. JF: Very nicely drawn cover with drama and story. Looks like it was inspired by Dune. JF: I can appreciate the appeal of this approach, but I prefer the boxed sets with one, unified cover. JF: The colors and style make this emphatic, although the visual is a bit confusing. JF: Very cool and alluring, draws us right in. JF: It’s obvious that a lot of careful work went into this cover, but it doesn’t dome together for me into one, cohesive whole. JF: Lots of story and the pregnant motion of the man clasping the woman’s arm power this cover, which also has some lovely touches on the title typography. JF: The visuals are strongly incongruent, since the peaceful figure could never exist within the stormy sea, and the title type is similarly mismatched. Nice colors, though. JF: A decent cover, but I don’t think the red flourishes add anything at all. JF: A charming and appropriate illustration that needs much better lettering or typography. JF: A really good concept, but a weak an ineffective execution. JF: (Inevitable) reappearance of the silhouettes. A good composition, dragged down by overworked type and cut-outs that look like they are floating. JF: An effective sci-fi cover, and I like the way the designer draws our attention to the little spaceman figure, that really puts us in the scene. JF: An interestingly gritty illustration style, but the typography needs a lot of help. JF: I love the comic book art for this cover, it’s fantastic. Title would balance the rest better if it was a bit larger. Caron Pescatore submitted The Doll Dilemma designed by Jeanine Henning. JF: A little rough looking, and why does it have to say “Kid’s Court” twice? JF: A lovely drawing and classic typography, not sure it wouldn’t be stronger without the dog staring at us. JF: Except for the disappearing dark-red-on-black subtitle, it’s pretty good. Cora Graphics submitted Frozen Dreams designed by Cora Graphics. JF: This sci-fi cover has many story elements plus the earnest man, but manages to keep them all in balance with an attractive look. Cora Graphics submitted Terminus designed by Cora Graphics. JF: While this cover is every bit as effective as the one above, you have to question to one type element that isn’t on a diagonal; it’s a bit incongruous. Cora Graphics submitted L’erede di Tahira designed by Cora Graphics. JF: There’s an interesting aura of mystery here. Cora Graphics submitted The MirrorMasters designed by Cora Graphics. Cora Graphics submitted Sei il mio respiro designed by Cora Graphics. JF: I don’t know the significance of the beads in the woman’s mouth, but it makes for an arresting image. Dane Low submitted Genie designed by Dane at CreativIndie.com. JF: Stylish and mesmerizing, very effective. Dane Low submitted LUC: A Spy Thriller designed by Ebook Launch. JF: The shadow covering part of the title is enough to cast an ominous spell on this scene. Dane Low submitted A Pacific Murder designed by Ebook Launch. JF: A bloody good genre cover with a great sense of place and lots of juicy details. Dane Low submitted Breaking the Ice designed by Ebook Launch. Dane Low submitted Tangled Up In You designed by Ebook Launch. Dane Low submitted Sand Angel: A Time Travel Romance designed by Ebook Launch. Dane Low submitted Dystance: Winter’s Rising designed by Ebook Launch. Dane Low submitted The Fell Hound of Adversity designed by Ebook Launch. JF: Very classy with a strong feel of the 1930s. Note how the background has been manipulated to allow the title to stand out. Dane Low submitted The Heart’s Shrapnel designed by Ebook Launch. JF: The designer has made a strong effort to combine two incompatible things (“heart” and “shrapnel”) and mostly succeeded. Dane Low submitted Twisted designed by Ebook Launch. JF: A strong cover that promises lots of action. Again we see how the figure walking away from us can lead us into the story. JF: Always nice to please your fans, but I’m not cheering, this looks pretty raw to me. JF: It leaves me wondering why the designer thought we would be able to decipher whatever is inside the title type mask. JF: Would have been stronger with a better typeface for the title, this one is very wishy-washy. JF: Congratulations, but I still don’t know what “The Project” is about. Donna Lindahl submitted The Favors Game designed by Donna Lindahl. JF: Proves that simply applying type to a photo does not confer any meaning whatsoever. JF: Love the title, and I think this could be a really effective way to represent your story on the cover, but I wish it was easier to see. JF: A nice layout, but I find the woman oddly passive. JF: It’s gorgeous and evocative, and the typography suits your subject perfectly, but I do wish the title and author’s name were a bit larger, I think they would balance that great illustration better. Gita V. Reddy V. Reddy submitted Super-Duper Monty designed by Abira Das. JF: Proof that simply applying type to a photo doesn’t automatically result in a book cover. JF: Great illustration, but the title is suffering in comparison, it needs to be larger and/or brighter. James Egan submitted Oracle Resurrection designed by James T. Egan of Bookfly Design. JF: The dramatic type treatment helps to highlight the incipient violence of the scene, revealed. James Egan submitted Ladies Man designed by James T. Egan of Bookfly Design. JF: Unmistakably home made, and not like a tasty pie, either. JF: I like the distinctive style, but be careful the darkness doesn’t overwhelm the rest of the cover. Jeff Nine submitted Traitor’s Masque designed by Jeff Nine. JF: An interesting design with lots of ways to tell this is historical romance, from the costume to the architecture, to the flourishes. The designer seems to be leading our eye to the woman’s derriere, more of a modern fixation? An attractive cover nonetheless. John Mimbs submitted Numbers of Redemption designed by John Christopher Mimbs. JF: This appears to be an illustration with a bunch of little silhouettes applied to it, but frankly, they are very small and I can’t figure out what this book is about. JF: A solid genre cover with an attractive protagonist. JF: Colorful, with a light touch. JF: It all works well, but I think the yellow for the title is off-key. Try a colder color there. JF: A nice layout, but there’s nothing to focus on, where it should be: at the center of the mandala. JF: Well done, and the upward-looking perspective on the strange scene makes it all the more dramatic. JF: A beautiful cover with lots of style, but I really object to the way the author’s name is pushed almost off the top edge. A quibble? Maybe, but it creates an unpleasant tension and the rest of the cover is quite good. JF: A very strong series design for these contemporary thrillers. Strong type, abundant texture, and a signature visual add up nicely. JF: Lovely type treatment, the visual is indistinct. JF: The square defined by the man’s face, their shoulders, the gun, and her hand is odd and very distracting. The point at which the gun barrel and her finger meet is highlighted but illogical. JF: This title treatment seems just right to me. Not sure about that hair, though. JF: The gold ornamental filagree is an appropriate framing device that works well for this fantasy title. Not sure you needed the “highlight” behind the title, it actually makes it a bit more difficult to read. JF: Well, yes. The image is interesting, but the similarity in weight between the branches and your delicate font make it difficult to read and muddies the design message. Fewer branches, different colors, or a stronger font might each solve the problem. JF: This fine design looks more suitable to a paperback. JF: Kind of working against itself—it looks very modern. Levi Cheruo submitted The UglyBeautiful Tale of a Stupid, Stupid Heart: When Mother Hen Eats her Grownup Chicks designed by Levi Cheruo Cheptora. 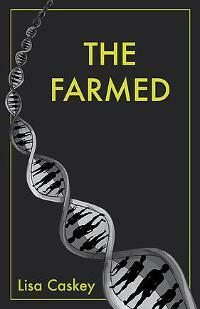 JF: The double helix is a great and recognizable graphic, but the cover looks unfinished, more like a draft. JF: The designer knows exactly what readers of these books are looking for, and delivers. Luke Ahearn submitted Gravitational Forces designed by Luke Ahearn. JF: Pretty cool, but what are those, purple snakes? Luke Ahearn submitted Robyn’s Rock designed by Luke Ahearn. JF: Yeah, no. That really doesn’t work, lots of stuff that doesn’t belong together kind of dumped onto the cover. Luke Ahearn submitted Sixty Seven Salamanders designed by Luke Ahearn. JF: These two people are not convincing, and the type needs help. JF: I like the figure reflected in the snake’s eye, but the type looks like it was borrowed from a neon sign factory. Luke Ahearn submitted Stories of the Confederated Star Systems designed by Luke Ahearn. JF: A remarkably awkward piece of artwork. I can save you the trouble of looking closer: the queen does not have a beard, those are shadows. Painful. JF: Surprisingly affecting, its deep peacefulness is quite appealing. JF: Gives the impression the fellow is something of a giant. 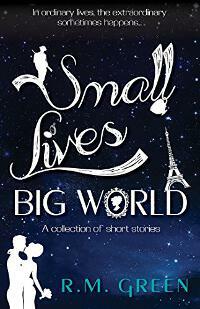 Michelle Laurie submitted The Bargain Bin and other short stories designed by Inspired Cover Designs. JF: Definitely old school, that title is almost jumping off the cover. JF: Why make the title so hard to read? The visual lacks a clear focus or much of a point. JF: Fun! Needs a border to keep it from bleeding onto the page. JF: With an image this strong, overworking the type with lots of shadows and glitz really works against you. Tone down the type and let the image shine. JF: It’s always a challenge to try to picture magical elements, and here I’m not sure all the light forms actually help us appreciate the interaction between the man and the woman, and that’s what the focus of the cover is meant to be, right? JF: Brain, we have liftoff! JF: Very nice imagery, the type doesn’t “sing” for me. Oscar Hutson submitted The Flight of the White Dove designed by Oscar Hutson. JF: The self-published look in all its glory. Paula Berinstein submitted Amanda Lester and the Pink Sugar Conspiracy designed by Anna Mogileva. JF: A good concept for the targeted audience, but the two central figures seem to have no connection to each other either visually or emotionally. JF: An aura of eeriness, but I wish I could read the author name better. Rena Hoberman submitted Killing Game designed by Cover Quill. JF: A basic genre cover, with lots of energy. Ricardo Victoria submitted Tales from the Universe designed by Ricardo Victoria. JF: One of the weakest title treatments I’ve seen. JF: Combining images is always a challenge, and here, that setting sun is wildly out of place on an otherwise interesting cover. Sarena Ulibarri submitted Char designed by Sarena Ulibarri and Eileen Wiedbrauk. JF: Not sure I know what’s going on here. Siera London submitted Catching Rebecca: A Bachelor of Shell Cove Novel designed by Maroon Ash Publishing. JF: It’s very difficult for amateur authors to compete in designing book covers, and they have put their books at a disadvantage in the marketplace. JF: Better, but see my note immediately above. JF: I love the energy and sensuality of this cover, and it adds several historical notes along with the distinctive title. JF: The sense of mystery in the illustration is mirrored in the type treatment. Timothy Doyle submitted Faces in the Mist: A Jacob Turner Chronicle designed by Timothy C Doyle. JF: Nicely done, and the stylized look suits the underwater theme well. JF: The cover is fun and will stand out in the crowd. JF: You may be asking too much of browsers, and the typography really needs to be stronger on this cover. Z. A. Coe submitted The Inventor’s Slave designed by Z. A. Coe. JF: Although it has an interesting look, this cover just doesn’t hold together. A.G. Billig submitted I Choose Love! designed by Felix Barca. JF: Another red on black subtitle that’s hard to read. And there are so many shapes to deal with and interpret, adding the “peak” at the top seems gratuitous. Aimee Coveney submitted How Not to Murder Your Grumpy designed by Aimee Coveney. JF: A charming cover with good illustration, making it all the more unnecessary to add the “award winning author” line. If you’re unwilling to say which award you won, please just leave it off the cover, thanks. JF: It does make it clear what kind of book it is, although I’m sure you realize it’s not a “professional quality” book cover. JF: Well suited to the abstract nature of the content. JF: A solid design for this series of instructional works. JF: Not very good, I’m afraid. Compare to the one above. JF: Although it’s clear, this cover is pretty generic. Jessi Andricks submitted The Smoothie Life designed by Jessi Andricks. JF: The model is attractive, but the cover is ineffective. Jonah Imeson submitted ANGELS and Other Inspirational Verse designed by Jonah Imeson. JF: The designer’s very good work with type can’t hold all the disparate elements together, and I think that’s the fault of the composition itself. Lois Hoffman submitted Write a Book Grow Your Business designed by Lois Hoffman. JF: An extremely quiet approach for a dynamic subject. JF: Visually it’s a bit chaotic. Sharonflor the Love Bos submitted For the love of Mother Earth designed by Sharon Bos. Teddi Black submitted Psalm of my Heart designed by Teddi Black. JF: Amusing, and the model’s look and pose are perfect. JF: An affecting image, although overall it appears a bit dark. Thanks for the lovely, kind words. Congrats to my friend James Cherry whom I recommended and he garnered a star. Can I be just a little jealous and thrilled for him at the same time. Hee hee hee! Any advice on how to make the next one star-worthy? I’m working on the sequel, now. This was a fun contest. Thanks for supporting indies and all your advice! Tam, thanks for entering. You might try simplifying the next one. Many thanks for the feedback on Quartet – still new to the game with regards to book cover design, so thanks for including me in the response, much appreciated. Thank you so much for the Gold Star Award for Darcy By Any Other Name. Such smiling good news. Thanks for entering, Laura, it’s a charming cover. I write well, but it’s this cover that makes readers take a second look. Truly, it is why my book is selling so well. You keep encouraging authors to hire a professional designer. No kidding. Worth every single cent. Great work as usual Dane – Well done! Thank you for the gold star for Psalm of My Heart. You made my day! Thanks for entering, Teddi, I always enjoy seeing your work. Thanks for the award for The Love of One. Great crop of covers this month and, as always, I enjoyed reading through your comments. Another terrific cover from Bookfly Design. Thanks for supporting this monthly contest, James. Sorry, I’m always suspicious of books with over-designed covers. Simplicity remains the essence of good taste – a cover that’s classy and functional does it for me – draws me in and makes me read a few sample paragraphs. So, yes, I do judge a book by its cover, and its blurbs and some clips to evaluate the quality of the writing and thinking. Lots of these covers look too much like they’re trying to impress me, wow me, sell me the sizzle instead of the steak. Slightly mixed batch this month, I thought, but the overall winners were superb. I really liked all the Ebook Launch covers, too. Hi Joel, thank you so much for your comments. Sure, and thanks for entering, Cora. Just wanted to check – I’ve submitted cover for Indiot by Ana Spoke in May, but it’s not on this page – are some submissions not featured? Ana, my apologies. We occasionally have glitches with the entry form. We’ll check our files and get back to you, thanks. Thank you, Joel, that’s okay. Convenient, in a way, since I am working on the redesign and would like to resubmit. Ana, as was communicated by email, I could not include your submission in this contest because your e-book wasn’t published yet. e-Books must be published at the time of submission and having them available online for pre-orders doesn’t count. We’ll look forward to you submitting your e-book cover again once it is officially published.